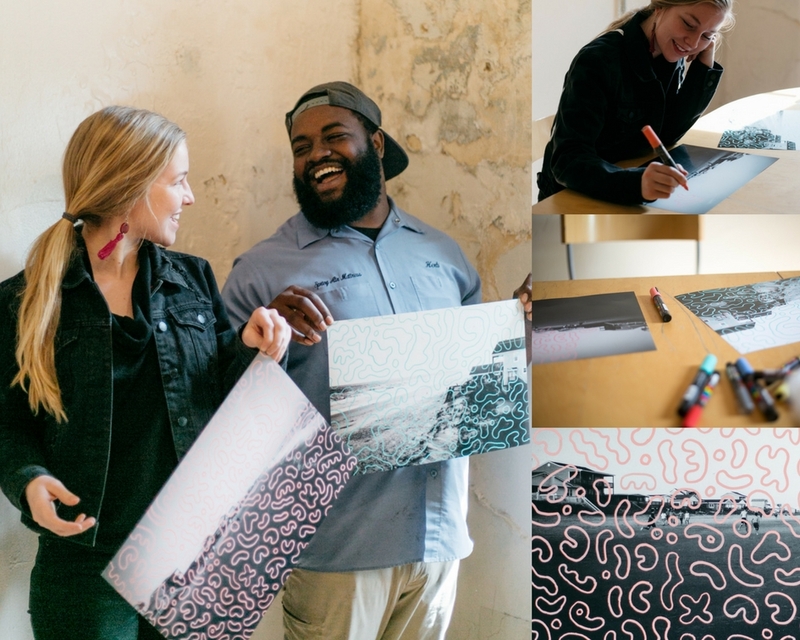 For the second Greensboro artist collaboration, I sat down with my buddy Daniel White at the beloved Green Bean Coffee and threw some funky patterns (read: disturbed the *visual* peace) on his black and white beach landscapes. Daniel is a Greensboro based portrait photographer and podcast-master behind the Free Pizza Podcast. He's become a GSO legend and I'm so honored to count him as one of my friends. You can see some more of his work here on his site: Daniel White Photo and Instagram. PS---We're making prints of these soon + will list them as soon as they're available!